Hundreds of products pass through the hands of the Macworld editors every year. Some are much-anticipated devices riding a wave of hype; others are quietly released and seemingly come from nowhere. We see offerings from Fortune 500 companies, one-person outfits, and everything in between. Out of all those candidates, a few stand out above the rest. We recognize these products with an Editors’ Choice Award, or Eddy. For the 2013 Eddys, we started with a list of over 150 nominees (only products released between November 1, 2012, and November 1, 2013, including iOS apps, were considered). 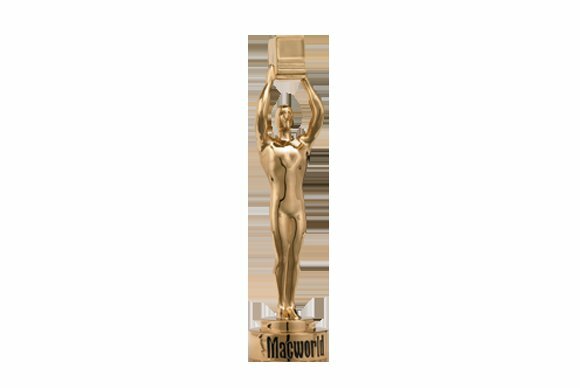 The Macworld editors then have a series of meetings where we discuss the merits of each nominee and whether a given product meets our standards for quality, utility, innovation, value, and excellence. 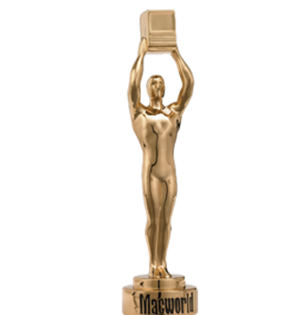 Eventually we arrive at the two lists (Hardware and Software) that you see here, each in alphabetical order—the winners of the Macworld Editors’ Choice Awards. 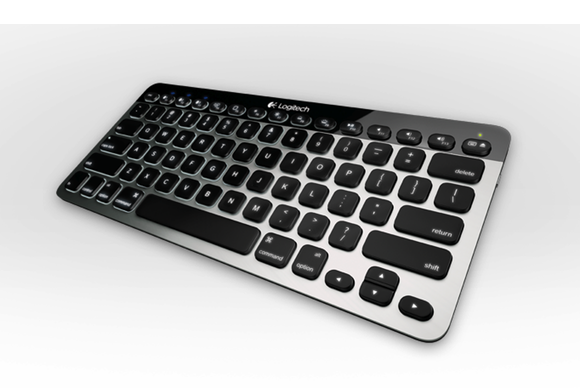 Bluetooth Easy-Switch Keyboard K811 Logitech’s $100 keyboard is the ideal keyboard for an Apple user, thanks to its Mac-matching design, great keys, a standard key layout, and a nice batch of special-function keys for both OS X and iOS. Both? Yes, both, because the Easy-Switch pairs with Macs and iOS devices—and even Apple TVs. In fact, it pairs with up to three such devices simultaneously, letting you switch your active Bluetooth connection between them with a simple key press. The Easy-Switch is smaller and lighter than Apple’s Wireless Keyboard—it’s perfect for tossing in your laptop bag—and it offers better key feel and better compatibility with iOS devices. It even sports motion-activated backlighting for typing in dimly lit environments, a feature that many a Mac user has wished Apple’s Wireless Keyboard provided. (The K811’s internal battery charges via USB.) It’s the most capable and versatile Mac keyboard we’ve seen. Envoy Pro EX SSD What’s smaller than a portable hard drive, larger than a thumb drive, and really, really fast? OWC’s $289 Envoy Pro EX external solid-state drive. Typical SSDs have the same dimensions as a 2.5-inch laptop hard drive, but the Envoy Pro EX uses OWC’s Aura Pro SSD, which is built more like a RAM module than a drive mechanism. Small, stylish, and swift, the USB 3.0, bus-powered Envoy Pro EX is an extremely portable drive. Weighing 3.8 ounces and measuring 0.4 inch thick, 2.1 inches wide, and 4.5 inches long, the Envoy Pro EX is about the size of an iPhone. It offers 240GB of solid-state capacity, and it posted some of the fastest AJA-benchmark write speeds we’ve seen (even faster than many single-drive Thunderbolt units we’ve tested). Other zippy, thin drives have followed, but the Envoy Pro EX reset the bar for us. 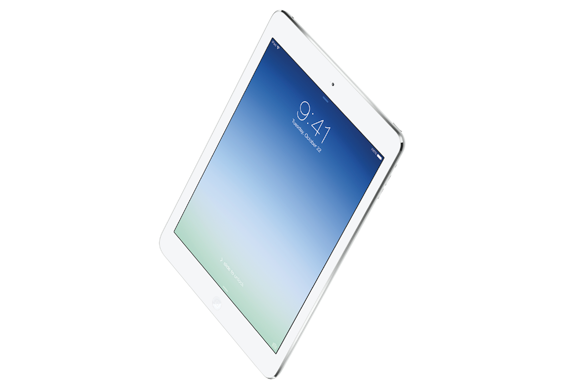 iPad Air How do you improve the best tablet on the market? Make it faster and more capable. How do you make it lustworthy all over again? Make it smaller, thinner, and lighter without sacrificing battery life or durability, and without raising the price. That’s the iPad Air ($499 to $929), the fifth generation of full-size iPads. Apple has taken everything people love about the fourth-generation iPad—Retina display, great performance, thin profile, solid build—and improved on it. The Air has twice the overall performance and up to four times the graphics performance. Toss in Apple’s M7 motion coprocessor, multiple microphones, dual speakers, an improved front camera, better worldwide LTE compatibility on the cellular models, and the same impressive battery life as on the previous iPad, and you have a killer machine. And the Air is smaller: Looking much like an oversize iPad mini, the Air is 22 percent thinner, and a shocking 30 percent more compact overall. iPhone 5s When Apple’s iPhone 5s ($199 to $849) was released this past fall, we weren’t especially excited—the Apple rumor mill had gotten almost all the details right: Faster CPU? Check. Better camera? Yep. Gold-color option? Yup. Still, the 5s gave us a nice little thrill when we got our paws on it. The handset is, as usual, a fine piece of Apple engineering. Compared with the iPhone 5, it had enough new stuff to keep us interested. For one, it had that Touch ID fingerprint sensor built into the Home button. The camera picked up a bunch of cool new tricks, such as Burst Mode and slow-motion video, as well as an improved sensor. It had a faster CPU and, yes, it came in gold (though many of us preferred “space gray”). It was a satisfying evolutionary step up from the iPhone 5. But if you upgraded from an iPhone 4s, it was more of a quantum leap. (And given the two-year contracts these things come with, an awful lot of us are in that boat; in some ways, the real point of comparison for a new iPhone is the model that debuted two years before.) Compared with the 4s, the 5s is like a phone from the future. It’s six or seven times faster than the 4s (and only twice as fast as the iPhone 5). Its battery lasted 3 hours longer (11 hours, 3 minutes) in our tests than the 4s’s, or an hour and a half longer than the 5’s. In other words, the 5s came out as the best iPhone yet—and one of the best products of the year. Jot Script We’ve reviewed many styluses over the years, so it’s no surprise that we have a few favorites. Adonit’s $75 Jot Script is our newest obsession, offering users a 1.9mm plastic nib with the company’s new Pixelpoint technology for extra-precise writing. Born in conjunction with Evernote, the Jot Script has subtle nods that tie it to that company—chief of which is Evernote’s Penultimate app, which has been optimized for the stylus. 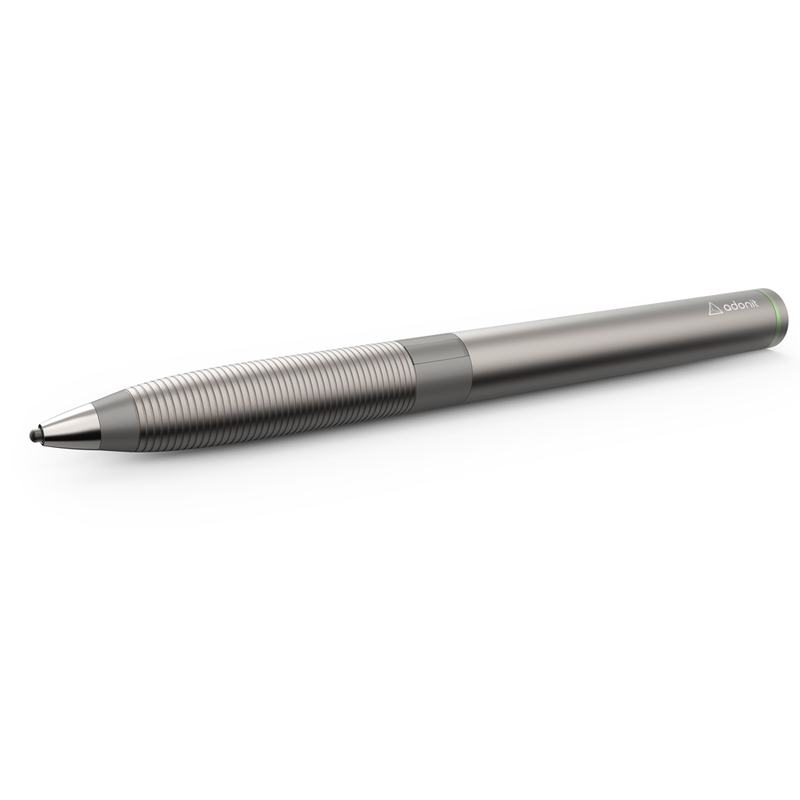 It’s an incredibly impressive pen for writing on your iPad or iPad mini, though unoptimized apps may be offset a few pixels. It does require Bluetooth 4.0, which means that you’ll need an iPad 3 or later, a first-generation iPad mini or later, or an iPhone 5 or later to use the stylus. Even with limited support from devices and third-party apps, however, the Jot Script is an excellent tool for the programs it does support, and it’s the best entry in the stylus market yet. 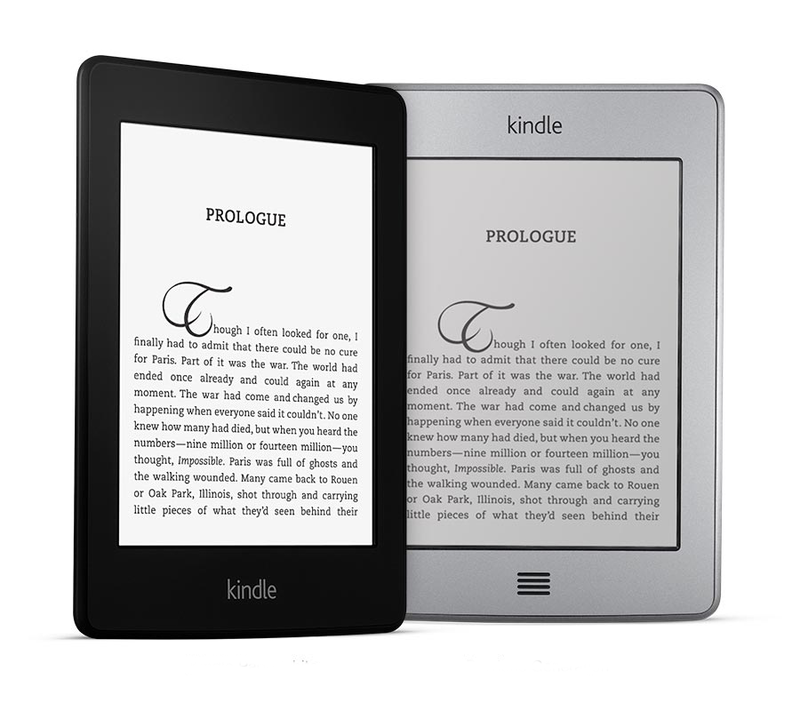 Kindle Paperwhite (second generation) The first version of the Kindle Paperwhite brought ebook users what they’d been asking for: an Amazon e-reader you could read in the dark without clipping on a book light. Its main failing was screen lighting that many people found uneven. The new model is evenly illuminated, with increased contrast that makes whites whiter, blacks blacker, and text and images much crisper. The light itself is also much warmer than the previous version’s cooler bluish hue. Page turning is faster. And new software features such as Page Flip (for flipping to a different part of a book), in-line footnotes, and improved word lookups add to the reading experience. MultiSync EA294WMi This year saw the introduction of 29-inch ultrawide displays with 2560 by 1080 resolution and a 21:9 aspect ratio. One such monitor (instead of two smaller ones) lets you use a single connection from your computer, and lets your eyes scan left to right uninterrupted. NEC’s $799 MultiSync EA294WMi was the best of four ultrawide displays we reviewed this year. It offers LED backlights, a high-quality IPS panel, and six connection types: DisplayPort, HDMI, DVI-D, single and dual link, and VGA. It also supports MHL, which lets you connect your compatible Android device to the display’s HDMI port. NEC includes a four-port USB 2.0 hub and integrated speakers, too. But what sets the EA294WMi apart from its ultrawide rivals is its exceptionally flexible stand, which offers height adjustment, tilting and swiveling, and even pivoting into a very tall portrait orientation. ScanSnap iX500 If you’re dreaming of reducing paper clutter and turning physical files into searchable digital documents, Fujitsu’s ScanSnap iX500 ($495) makes doing so easier than ever. The scanner looks like the popular ScanSnap 1500m that it replaces, but it has a faster and more reliable paper-feed mechanism (up to 25 double-sided pages per minute). It has built-in Wi-Fi and an internal processor that converts the scans to JPEG or PDF to allow scanning directly to your iOS or Android phone or tablet. The ScanSnap Manager software’s multitude of automatic settings work great for straightening crooked scans and eliminating blank pages. You can save your scans to folders on your Mac, to cloud services like Evernote and Dropbox, or to email or a printer. Wireless Plus With Seagate’s $200 portable external drive, the Wireless Plus, you can easily access 1TB of storage with your iOS device or even your Macs. It connects via Wi-Fi, so you don’t have to worry about packing a cable, and it can let you access the Internet while you’re connected to the drive. The iOS apps are easy to use (you employ a Web interface on a Mac), and you can stream videos directly from the drive. Whether for storing videos and pictures on the go or for backing up data, the Wireless Plus is handy to have. This side-scrolling atmospheric adventure game chucks you headfirst into explosive environmental hazards, but each round leaves you wanting more. Frax is a stunningly beautiful and easy to use fractal creation and viewing app for the iPhone and iPad. Its unique navigation and visualization system works flawlessly to animate, render, share, and save presets and original designs. Highland won't replace Final Draft for most professionals, but it's a wonderful supplemental tool for getting the most important part—the writing—on digital paper. 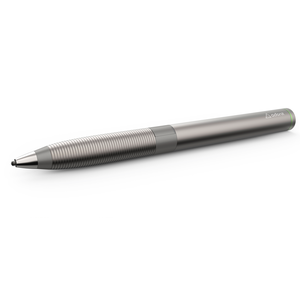 Adonit's new stylus not only defies form-factor expectations, but it also provides one of the best note-taking experiences on the iPad. What makes Kaleidoscope a must-have file comparison tool is its ability to integrate alongside other existing tools to become part of a developer’s workflow. In no time at all, it will become a go-to utility for file comparison. If you find yourself performing particular tasks over and over again, you owe it to yourself to try Keyboard Maestro. 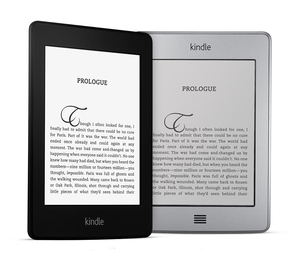 The second-generation Paperwhite is the best dedicated ebook reader you can buy, with a high-contrast screen that lights itself. nvALT isn't your typical text editor. It has features that makes it easy to search through a set of notes. Prizmo 2 can be handy for anyone who needs to occasionally scan documents. The software has accurate OCR and its software tools make it easy to edit and improve the quality of the images after scanning. Whether your text-editing job is large or small, TextWrangler will handle it with aplomb.